It's Rakhi, the Hindu holiday special to brothers and sisters, and Arun wishes he had a sister with whom to celebrate. Soon it looks as if his wish will come true. His parents are going to adopt a baby girl named Asha, and she is coming from India, where Arun's dad was born. The family prepares for Asha's arrival, not knowing it will be almost a year until they receive governmental approval to bring Asha home. Arun is impatient and struggles to accept the long delay, but as time passes his love of paper airplanes and his supportive family help Arun conquer his frustration and find his own way to build a bond with his sister, who is still halfway around the world. 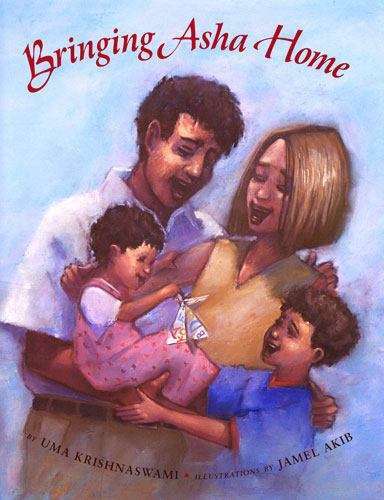 With warmth and honesty, this tender story taps into the feelings of longing, love, and joy that adoption brings to many families. Readers will find reassurance knowing there is more than one way to become part of a loving family.